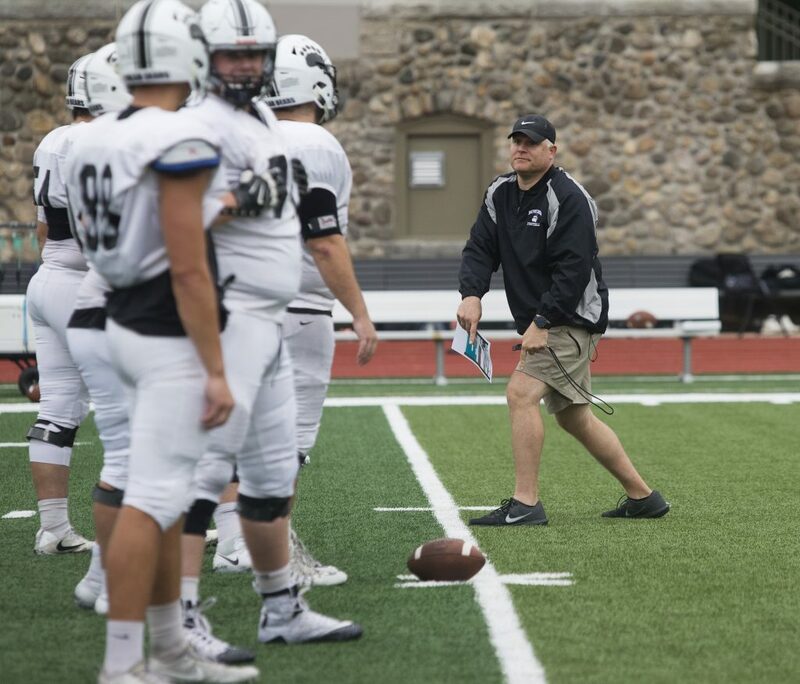 BRUNSWICK — JB Wells looked out at Whittier Field, where his Bowdoin College football team was preparing to practice, and talked about a new enthusiasm that has enveloped the Polar Bears. 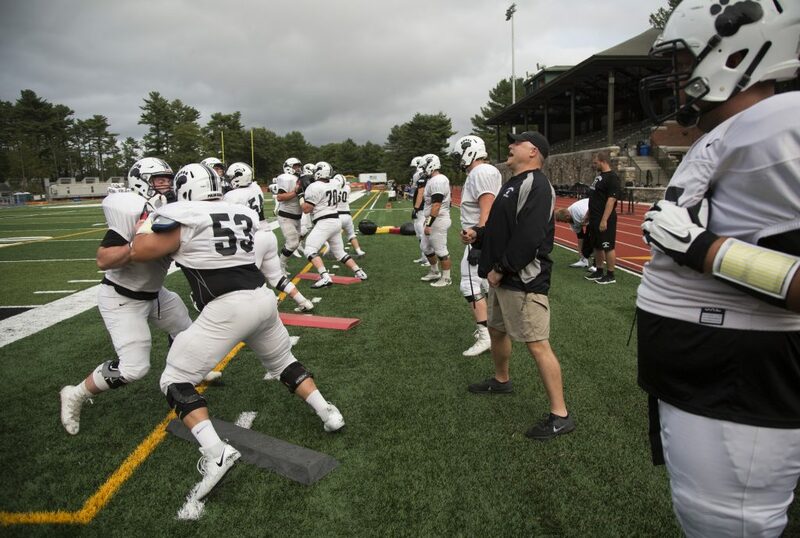 Bowdoin opens its season at 1 p.m. Saturday against Williams at Whittier Field. 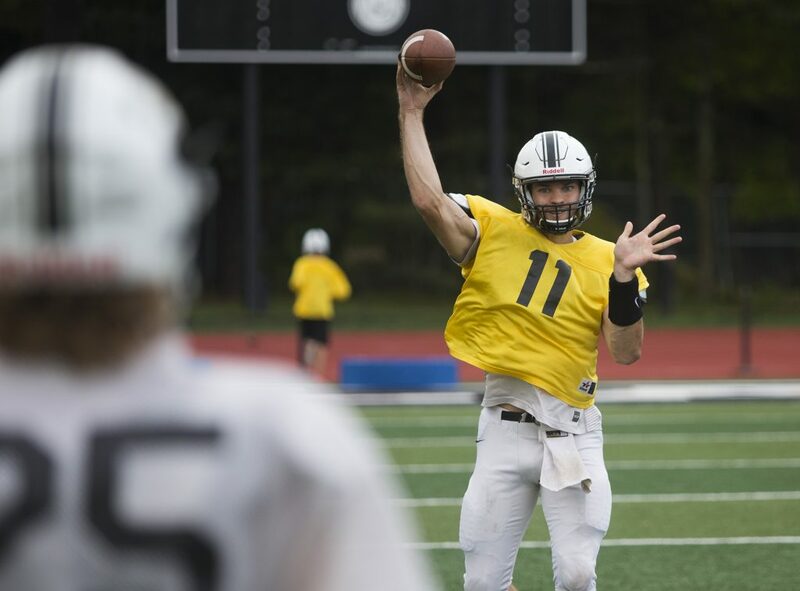 The Polar Bears, who play in the NCAA Division III New England Small College Athletic Conference, are looking to snap a two-year, 17-game losing streak. Bowdoin returns two players who started last year (senior Noah Nelson of Falmouth and sophomore Griff Stalcup, of Manchester, Vermont) and received a transfer with a familiar name – Austin McCrum, the former Thornton Academy standout who was at Division I Lafayette the last two years. McCrum, who was a redshirt as a freshman, has three years of eligibility remaining. 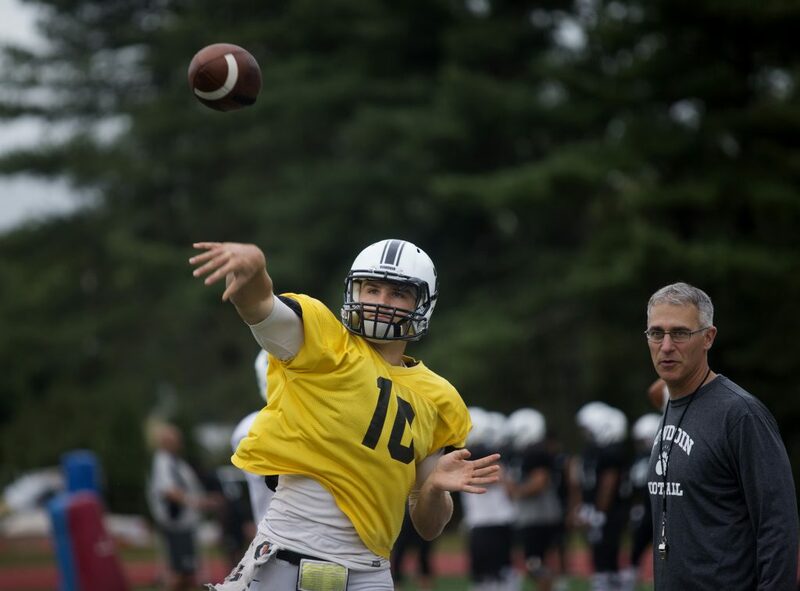 Stalcup, the Vermont Gatorade Player of the Year as a senior at Burr & Burton Academy, and McCrum, who led the Trojans to back-to-back Class A state titles in 2014-15, likely will see most of the quarterback duties, with Wells and offensive coordinator Tim Viall figuring out creative ways to use their talents. 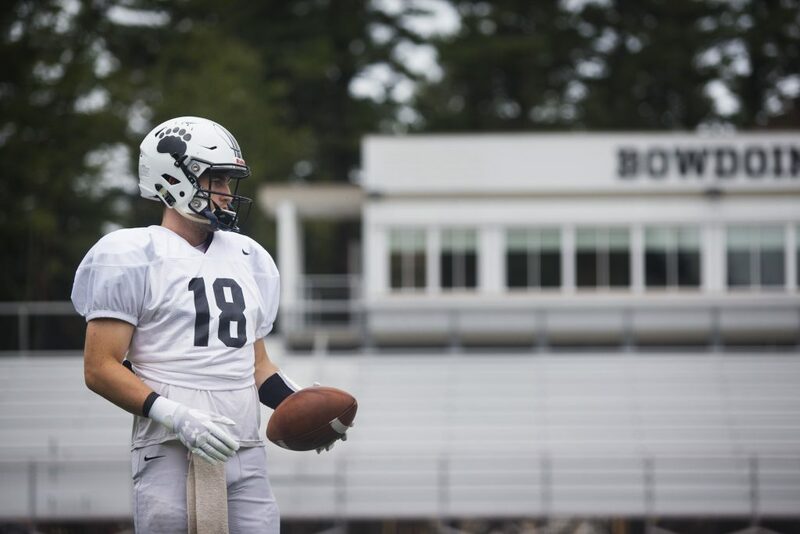 Nelson, who has thrown 16 touchdown passes in three seasons at Bowdoin, has moved to wide receiver but still works out with the quarterbacks on a daily basis. McCrum, 6-foot-5, 215 pounds, earned a scholarship to Lafayette out of Thornton Academy. 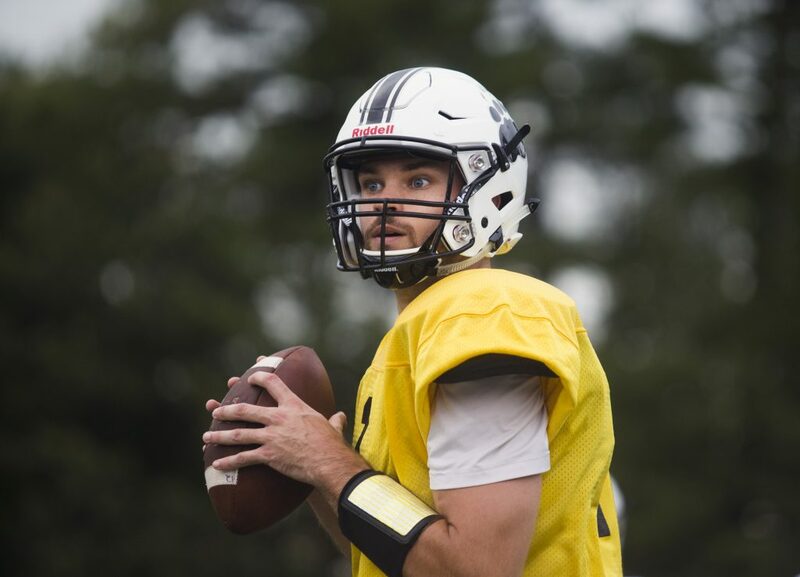 But after his freshman year, the coaching staff was replaced and he found himself on a team that was looking in another direction at quarterback. So he looked for a transfer. “Coming back home was a big deal for me,” he said. What does Wells like most about him? “I just think he’s a winner,” he said. Stalcup, who threw for 828 yards and four touchdowns last year, welcomed McCrum. Their willingness to work with each other is important, said Wells, showing their commitment to the team. The same could be said of Nelson. He’s played quarterback – and only quarterback – since the sixth grade. But when asked to switch to wide receiver, he never hesitated. Interestingly, Stalcup and McCrum spent the offseason improving their fitness – in different ways. The 6-foot-1 Stalcup put on 20 pounds and now weighs about 200. “I realized coming in at 180 I wasn’t big enough for the position,” he said. McCrum, meanwhile, dropped about 10 pounds. “I felt I was playing too bulky,” he said. 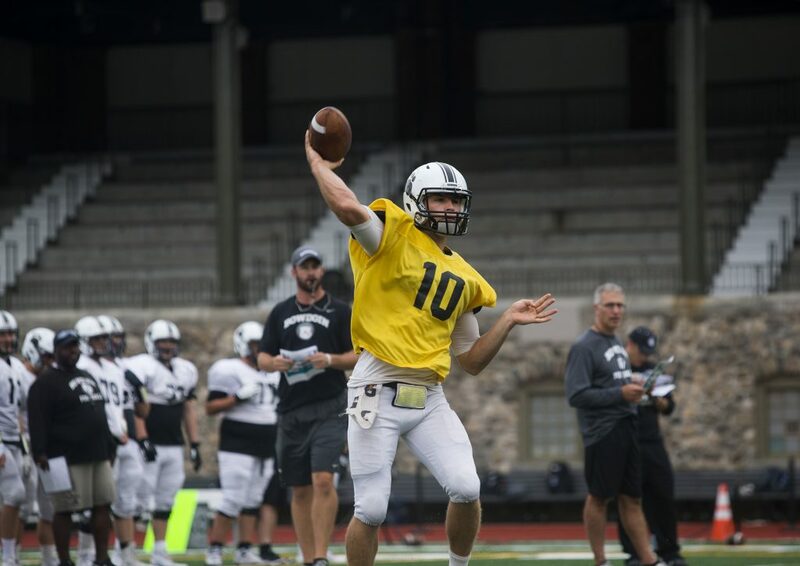 It will be interesting to see how Bowdoin plays them in its offense. 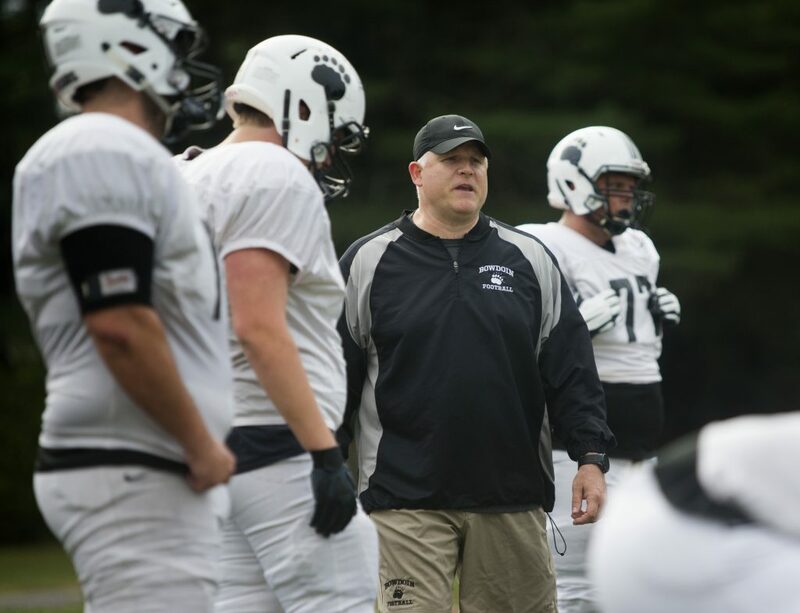 The Polar Bears have a couple of strong running backs in Nate Richam and Robert Kollmer, and some impressive tight ends, including Drew Chamberlain, a former defensive lineman from Falmouth making the switch to offense.